This dish became popular in the United States as Palak (spinach) Paneer. 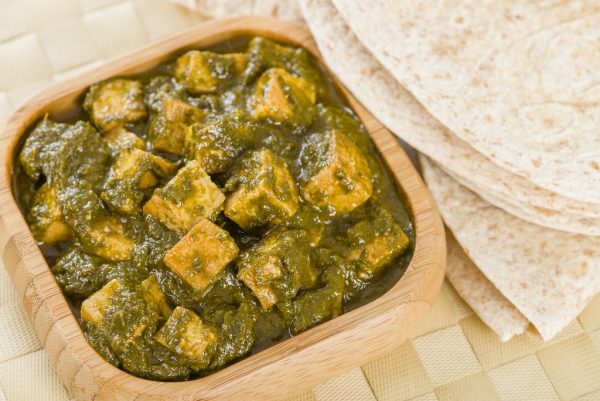 Saag Paneer is more flexible as you can use and combine any green leaves you like. Paneer is an Indian fresh cheese similar to unsalted cottage cheese. It melts not easily. We included in this recipe plenty of options for an even delicious dish if you can’t find paneer. Substitute paneer with tofu, feta, garbanzo beans (drained can), or cottage cheese, and/or serve it over boiled potatoes. If you don’t have a food processor, chopped the leaves finely. 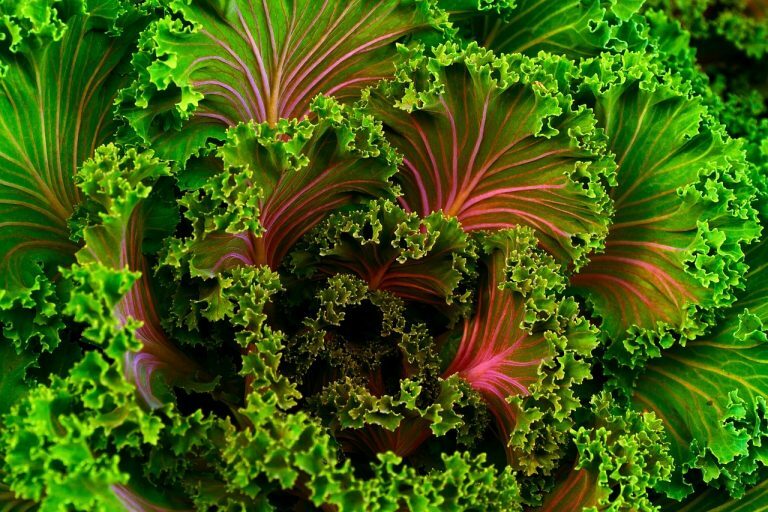 Or use baby leaves and use them whole for more texture. In a large POT, bring 4 quarts of water to boil. Add leaves and cook for 3 minutes. In a FOOD PROCESSOR, grind leaves into a smooth puree. In a PAN, heat 1 tbsp butter, ghee, or oil over medium heat. Stirring frequently, fry onions with a dash of salt over medium-low heat until they turn translucent. Stir in Saag Paneer Spices and salt to taste. Optionally, add more garlic to taste. Add leaves puree and mix well. Add up to 1 cup of water if you like the dish more liquid. Cook over medium-low heat for 3 minutes. Add paneer cubes and cook over medium-low heat for 3 minutes. Optional: finish dish to taste with lemon juice, and/ or heavy cream or yogurt. ** Fry paneer cubes before adding to the dish.